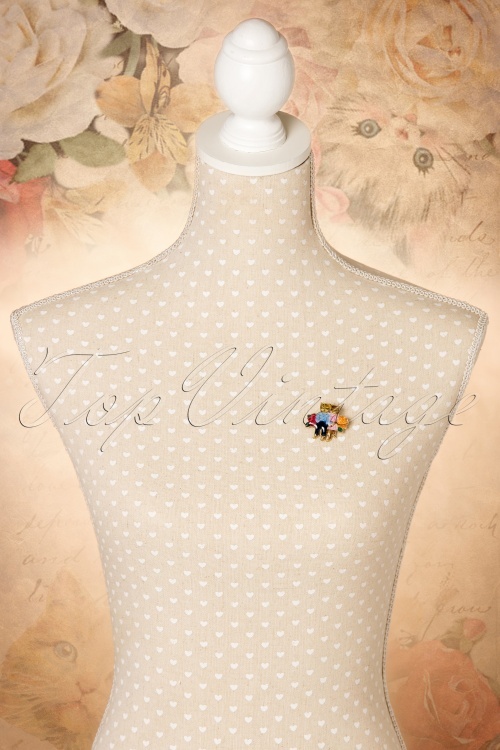 This 50s Nathalie Lété Couple of Cats Brooch is an adorable collectors item! 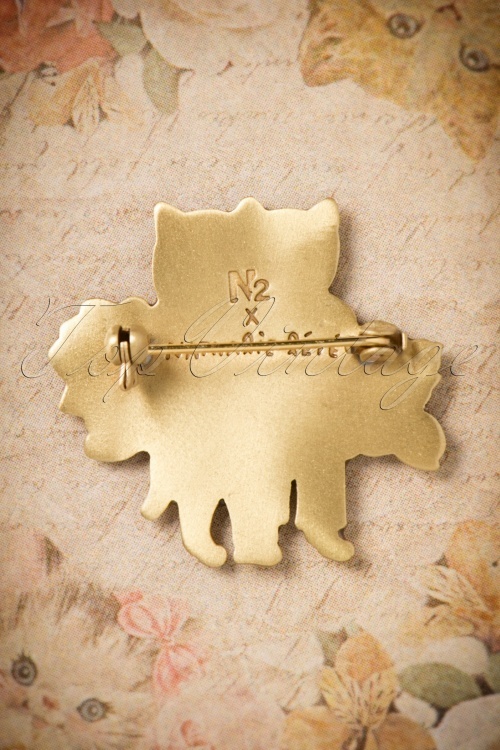 N2 designed an exclusive collection in collaboration with the prolific artist Nathalie Lété, this gorgeous brooch is one of the master pieces! 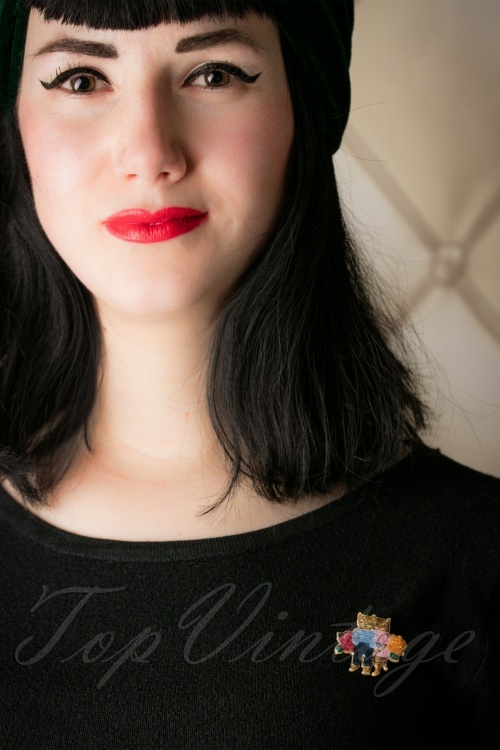 The marriage between both universes gave birth to the creation of this exclusive and unseen jewel collection inspired by travels, animals, flowers and vintage toys. 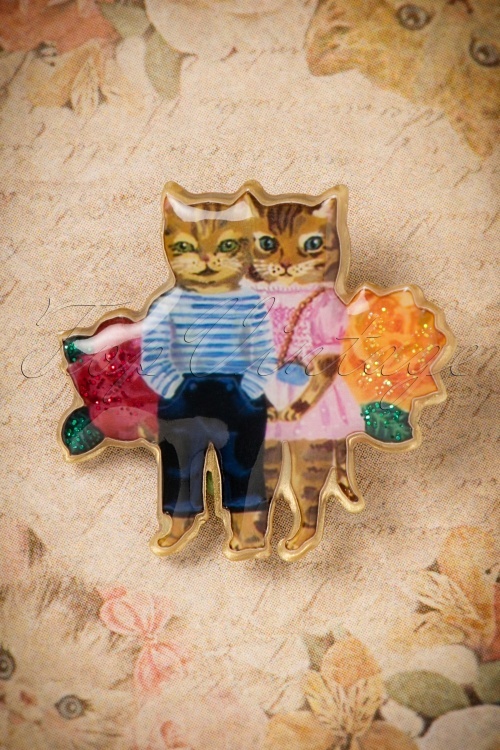 This cute cat couple is made from brass covered with hand enamelled resin. 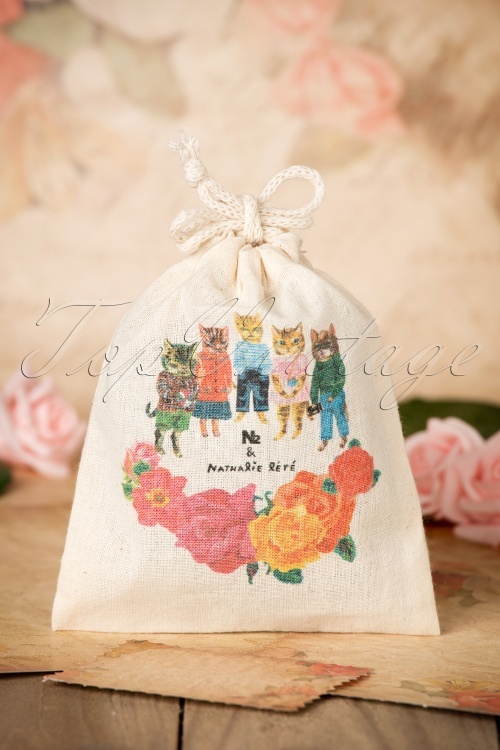 How can you resist this gem with adorable little kitty cats?